When healthcare centers experience an increase in patients, they are often forced to find or create an appropriate space to accommodate the needs of the patient. More often than not, this “extra” space is located in the hallway. 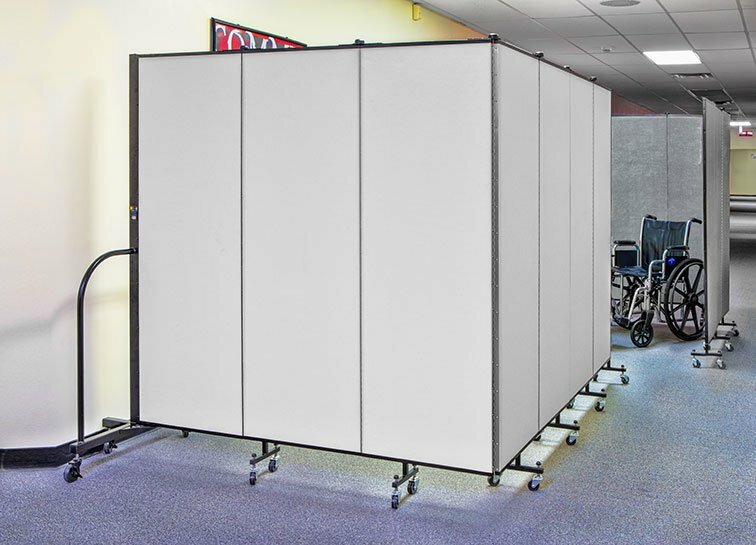 Screenflex folding medial privacy screens can be set up in seconds and provide the ultimate in patient privacy care. 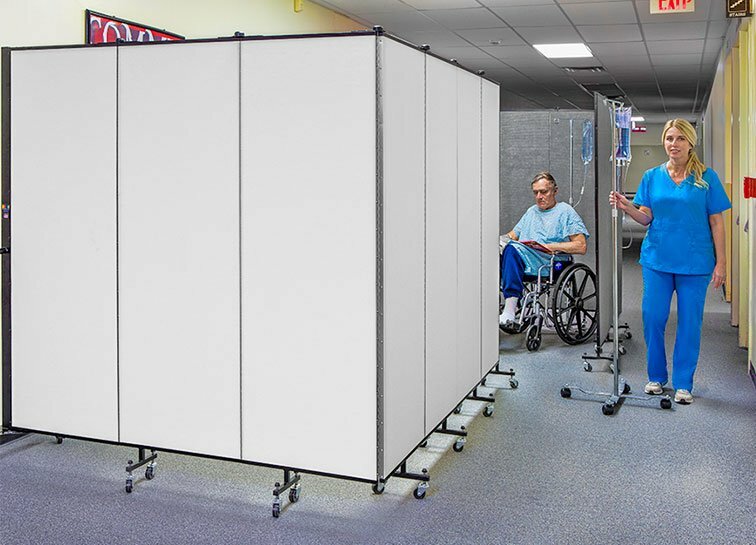 Each patient privacy screen rolls on wheels for ease of mobility. The walls are comprised of a corrugated core panel that absorbs ambient noise to eliminate distractions. Additionally, the vinyl covering wipes clean to prevent the spread of germs. Overall, the Screenflex medical privacy screen is a simple and cost-effective solution for providing the best in medical assistance.